Joe Rogan is one of the most renowned reality show presenters on television. He is known for his work in the reality Show called the Fear Factor, the SYFY show called Joe Rogan Questions Everything and his work at New Radio. Having been a professional kickboxer and a jiu-jitsu black belt holder, he has been one of the highest selling brands across theaters, fighting championship commentators and reality show presenters. A while back, he launched one of the most successful podcasts of all time called The Joe Rogan Experience. The podcast is a mix of comedy and inspiration. This podcast has received overwhelming support and love from across the world to the point that it now receives over 11 million downloads every month. The podcasts are also a channel that he uses to discuss health, civil liberty and current events from around the world. In several of his podcasts, Joe has discussed Onnit Labs as part of his health segments. He has hosted the Onnit CEO Aubrey Marcus to discuss a host of supplements that are produced Onnit Labs. Onnit Labs is a company based in Austin Texas that produces whole health foods under the banner of Whole Human Optimization. The Whole Human Optimization programs include a number of food supplements, healthy foods, and fitness programs. 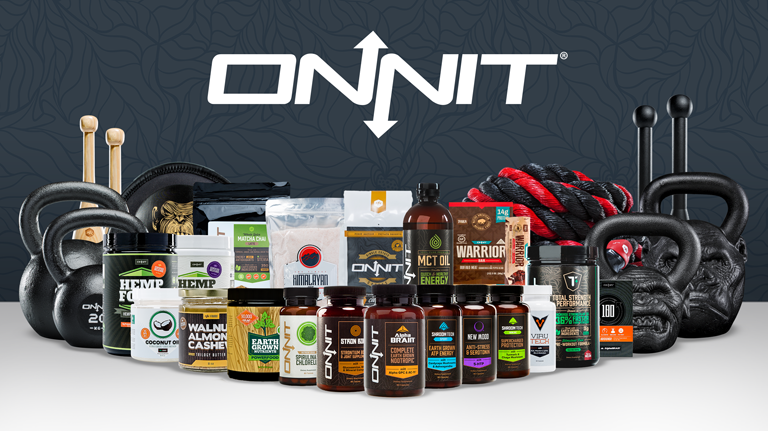 Onnit Labs also sell their branded apparel and personal care products. According to Onnit Labs, our bodies are a total of things that we feed into our systems. This means that if we put beneficial foods in our bodies, we reap healthy bodies, sharper minds and generally a healthy lifestyle. What are the supplements about? The supplements are manufactured to take care of the nutrients that are not usually present in most of our daily diets. The supplements are the foundation of the company’s Total Human Optimization. The health researchers at Onnit Labs identified some of the best nutrients that the planet provides to help our minds and the bodies to grow and stay fit. All the ingredients were then taken through a long scientific testing process to determine the potency, side effects, and amounts that were ideal for an average human consumption. The nutrients were then combined in given formulas and put together around given themes to make them important dietary supplements that were effective in given areas of the body. Grouping them also ensured that they were effective in the area for which they were to be used as well practical solutions for many of the deficiencies for which they are taken. What supplements does Onnit Labs manufacture and sell? Onnit Labs have more than a dozen supplements that they sell for a wide range of nutrient deficiencies and treating conditions that come with the said deficiencies. The flagship supplement product for the brand was Alpha BRAIN. The supplement includes a number of ingredients to help the mind boost its memory, processing speed and focus. It also helps in the concentration and the ability to solve problems really fast. Alpha BRAIN is served in a number of packages including Alpha BRAIN Instant. Onnit also makes a number of total body health strength supplements with the starting with Total Primate Care. This package is packed with selected minerals, herbs, vitamins and amino acids to help you stay strong and healthy. The formulas used in combining the ingredients help to support the bones, energy, mood and the joints in your body. The package is taken for either fifteen or thirty days. It comes with convenient night and day packages. Other strength supplements include Strong Bone and Joint package for strong teeth and bones and Total Strength + Performance that comes in Strawberry Lemonade flavor. For Gut health, Onnit has created several supplements that include Onnit Total Gut Health, and DigesTech. Moreover, the brand also created high-performance products especially for the sports personalities and those involved in high endurance activities. These products include Shroom TECH Sport made specifically for cardiovascular endurance and cellular energy. To help you cool down after a busy day and clear the stresses, Onnit Labs have come up with New Mood product. The products calm the nerves and activate the feel good hormones to keep you relaxed. For people who have problems getting sleep, Melatonin sprays are here. They are designed to help the body shut off and rest for a good night sleep. The products cone in a number of sizes and brand names. Other supplements that are provided by Onnit Labs include Shroom Tech immune boosting products, Earth Grown Nutrients for healthy body and mind, Krill Oil as well as Spirulina and Chlorella among other products. You can get all the essential supplements to get you started in the Total Human Optimization Power Pack. They include the Digestech, Earth Grown Nutrients and the Two Total Primate Care. The pack supports the entire body by taking care of the Vitamin deficiency proper digestion of food and revamping the nutrient bases. In one of the Joe Rogan Podcasts, CEO Aubrey Marcus talks of people making healthy choices for their bodies. He even adds that the company offers a 90-day money back guarantee for anyone that does not like the products offered by Onnit Labs. In several of the other podcasts, Joe Rogan has tackled the side effects, the ingredients in the products and reasons why the products are a good choice for everyone that needs to stay healthy. Onnit Joe Rogan collaboration has been vital to the success of Onnit supplements across America and the world. His bare knuckles way of questioning everything and honest answers to any fears and questions that would be users of the products ask has also created more confidence in the products. Are you looking for ways to live healthy, strong and very sharp? Give Onnit Labs set of supplements a try. Visit the website for more information. It is also recommended that you watch some of the Joe Rogan Experience podcasts for an in-depth knowledge of the supplements and how they help your body remain healthy. Thank you very much for your time reading my article, if you need anything the please let me know…glad to help out.